Sign that Something is Wrong! Macrocytic Anemia, also called Macrocytosis, is a condition of larger, oddly shaped and fewer red blood cells that occurs for a variety of reasons. 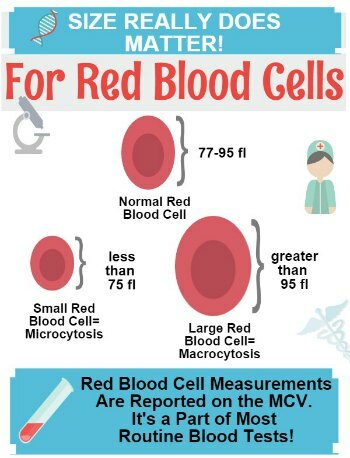 Primarily this shows up on a blood test by a high number on the MCV Blood Test that is a portion of the Complete Blood Count- or CBC test- which is part of most routine blood tests. The condition gets its name from how it appears on the blood test. The word 'Macro' means large, as in a 'macro' lens on a camera. The prefix 'cy' or 'cyto' means cell and the word 'anemia' refers to any condition of fewer red blood cells or hemoglobin. But regardless, a high MCV should prompt further investigation by your doctor into WHY you have this problem. However, it's VERY often the case that a high MCV blood test gets overlooked as not being significant- when it can be EXTREMELY significant to your health. In fact, when you begin Understanding Blood Test Results, you'll see that the finding of Macrocytosis can indicate serious conditions that have been causing your health problems for YEARS and are only now showing up on your blood test! If you have had chronic health conditions, macrocytic anemia could finally show what your problem has been all of this time. But ONLY if your doctor is vigilant about looking into the causes of macrocytic anemia and seeing it as the problem of serious nutritional deficiencies that it is- unfortunately, most doctors DON'T see it this way and don't understand about the serious health implications of the underlying causes of this important sign. So, what can this problem mean to you? Macrocytosis should ALWAYS make your doctor do further testing for Vitamin B12 deficiency. These enlarged blood cells are the 'Hallmark Sign' of Vitamin B12 deficiency and should NEVER be overlooked as such- especially in cases where you are experiencing fatigue. Confused about Your Blood Test Results? First: As we mentioned before, doctors will often overlook mild macrocytosis as unimportant- even if you have had chronic health problems. And so you don't get testing for Vitamin B12 even if you have the 'Hallmark Sign' of it. 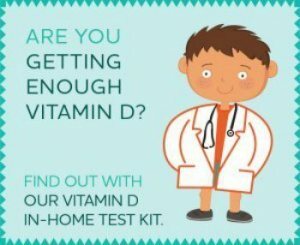 Second: Even in cases where your doctor DOES follow through and test for b12 deficiency, the results of your Vitamin B 12 Levels should NOT be relied upon anyway! Just Start Taking Vitamin B12: Because testing has many flaws and seems to miss SO many cases of vitamin b12 deficiency, it is safe and a much better indication of your need for vitamin B12 to simply follow the instructions on the Treatment of Vitamin B12 Deficiency page. 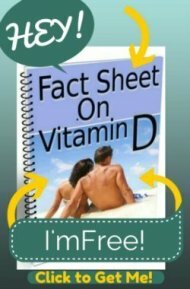 If you feel better, then you have vitamin b12 deficiency and you also have a solution to it! Great! And you didn't have to go to doctor's visits, get lab tests, or spend thousands of dollars. Why doesn't everyone just try this? So, if you have low vitamin b12 levels OR you feel better on vitamin b12, now you need to determine WHY you have low vitamin b12. Low vitamin b12 levels are NOT normal and- if you are not an alcoholic or a vegan- usually indicate some sort of malabsorption problem. So, it's time for you to go read the Causes of B12 Deficiency page and figure out WHY why you are low. Keep reading to find out more about the Causes of Vitamin B12 Deficiency. I was diagnosed w/Macrocytosis 3yrs ago but my Dr.says there is nothing to do about it. Does a Low MCV Mean that I Have Anemia? Can't find reason for Macrocytosis!